In this 2014 file photo, Michigan State Interim President and former Michigan Gov. John Engler participates in a news conference ' at the U.S. Chamber of Commerce in Washington, DC. Engler, a former Michigan governor, had an email exchange with Carol Viventi, a Michigan State vice president and special counsel. Michigan State spokeswoman Emily Gerkin Guerrant didn't immediately respond to a request for comment on Engler's email. Engler "can't conceive that I would do what I've done because it's right, not because I'm getting something from it." Michigan State University's interim president criticized lawyers who represent Larry Nassar's assault victims and suggested that the first woman to go public with her accusations was probably getting a "kickback" from her attorney, according to emails. 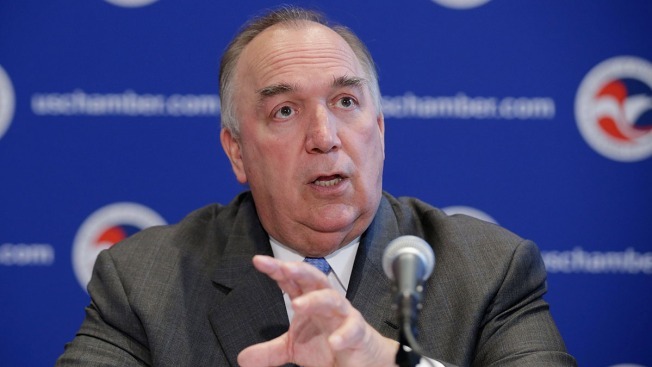 John Engler's remarks were made to another university official in April, a month before Michigan State agreed to a $500 million settlement with hundreds of women and girls who said they were sexually assaulted by Nassar, a campus sports doctor now serving decades in prison. The Chronicle of Higher Education and Detroit Free Press reported on the emails Wednesday. Engler, a former Michigan governor, had an email exchange with Carol Viventi, a Michigan State vice president and special counsel. The emails followed allegations at a stormy public meeting that Engler was trying to pay off a woman without her lawyer's input. Engler was referring to Rachael Denhollander, of Louisville, Kentucky, who identified herself as a victim to the Indianapolis Star in 2016. 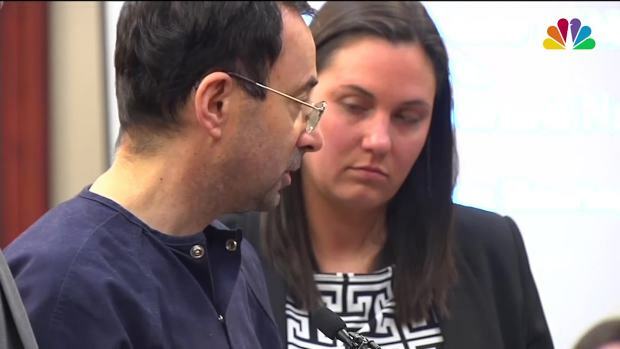 She has repeatedly criticized Michigan State's response to the Nassar scandal. Engler "can't conceive that I would do what I've done because it's right, not because I'm getting something from it. I truly pity him. What a sad way to live," Denhollander said in response. "Rachael Denhollander is an inspiration for her courage and bravery to speak up and the example of leadership that Engler should follow rather than criticize out of jealousy and spite," Mosallam said.